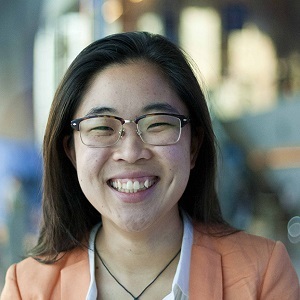 Linh Do is a social change advocate and has been working on environmental issues for the past six years. She has a background in community organising, campaigning, journalism and strategy development. Linh has worked with a wide array of individuals from high school students to UNEP and the Reuters Foundation. She is a co-founder of OurSay, recreationally the editor of The Verb, and sits on the board of the Centre for Sustainability Leadership. Linh is signed with BookedOut Agency and is an occasional writer. Linh is currently the community coordinator at Australian Conservation Foundation and in 2013 was named a World Economic Forum Global Shaper, Australian Geographic Young Conservationist of the Year and one of Junior Chamber International Outstanding Young Persons of the World. She is based in Melbourne, Australia with extensive experience overseas. Summary: Linh’s answer to the five questions! Listen to the full conversation on the player above; also available on iTunes and Stitcher. A whole bunch of different people. My parents, how they are still remain as happy people after having gone through a difficult time. People who see the bigger picture despite things being not great for them. It’s this weird conundrum that I’ve never been fully able to grapple with because climate change is so depressing. To spend your day thinking about climate change and working on it is just like super sad. It’s 95% of the time is just like, ugh, this is not a good news story. So, I guess for me hope is actually really important to be able to have something that keeps me going every single day. In some ways, almost every day is a little bit difficult because the more you think about these issues, the more you realize the size of the fight. The way that I utilize hope within that context of needing it every single day to feel rejuvenated and energized is I ask myself that question – If not me then who? If not now then when? I think that’s what gets me through this entire depressing series of facts and stories that I sometimes find myself in. One of the things that we do at The Verb is tell amazing environmental stories that people might not generally hear about. We talk about what people are doing on the ground so that people have that sense of connection. Without wanting to cross that line of just providing positive news stories, we don’t want to just pay that outlet that ignores the reality that this actually is a tough situation. One of the ways that we share hope is actually by tackling the issue head-on. We don’t want to oversimplify what’s going on. We don’t want to treat people as if they’re dumb. We don’t want to lie to people and say “Hey, we’ve got this” because that’s not necessarily the case yet. What we want to be able to do is share really inspirational stories about things that are happening today, reasons why we can be hopeful tomorrow. People are taking action today that’s going to have some positive influence tomorrow. We still want to have that underlying message of this is awesome, no doubt about that but actually so much more needs to be done. Here’s how you can get involved. (1) Start from within. Look for what you’re willing to do. (2) Get inspired and do something about it. (3) Share what inspires you.